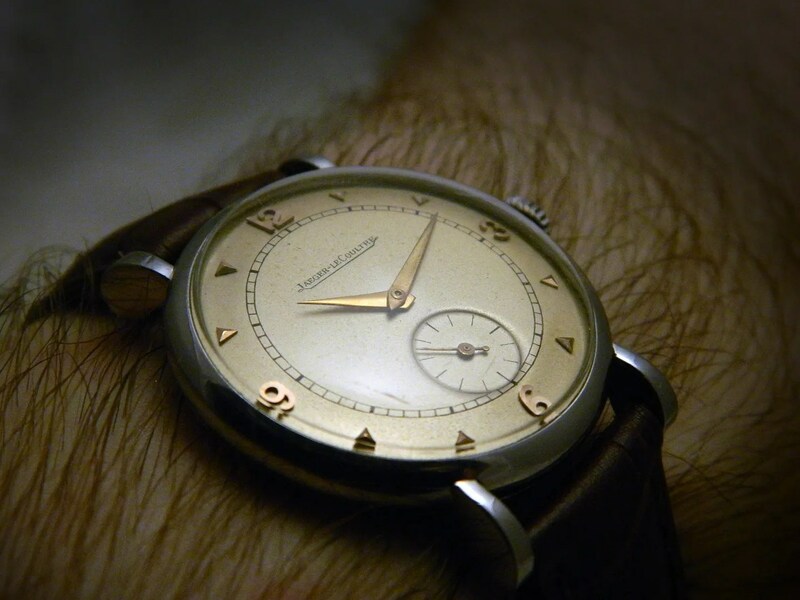 Well, after a bit of a delay (sorry for that – life took over) I’m delighted to publish another guest post – this one from my mate Carl (“Feelingtheblues” on The Rolex Forum) in which he muses about his gorgeous vintage LeCoultre from the 1940’s. Thanks, Carl! 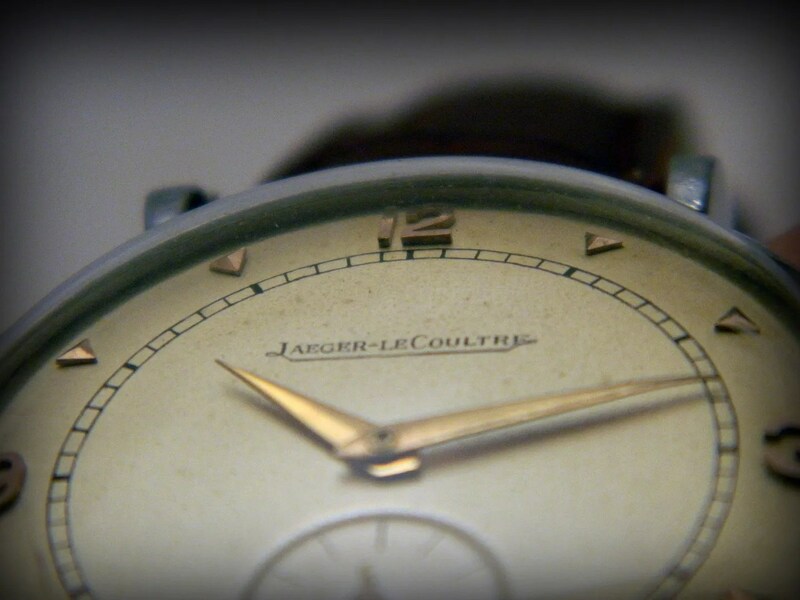 Since its creation in 1833, Jaeger-LeCoultre has been a synonym of haute horlogerie and high quality timepieces. 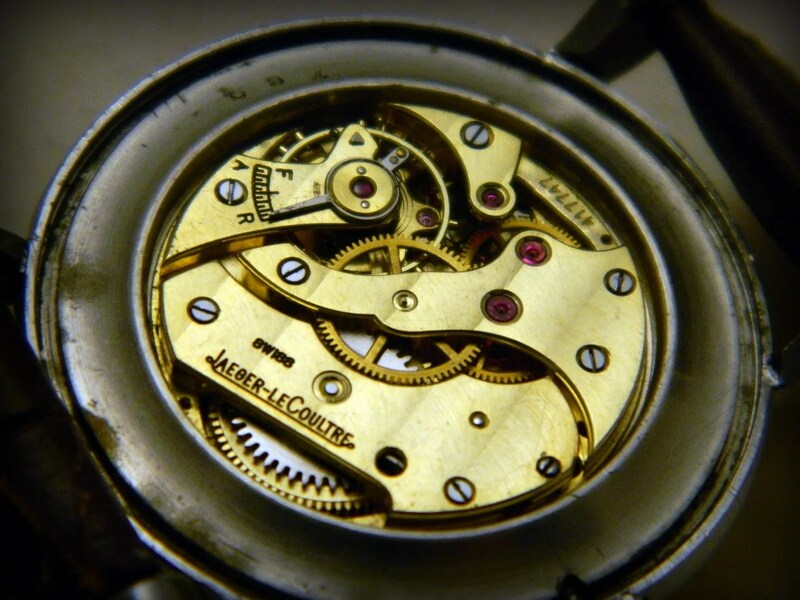 For some, this may be nothing more than mere marketing and many would be able to say the same about a lot of other brands but in my humble opinion there is an important detail that makes it different if compared to others… Jaeger-Lecoultre is not only a company, it’s a manufacture of watch movements. Same thing, different name? I would beg to differ! With about 1 200 calibres and 400 patents, the manufacture has played a very important role in watchmaking, whether we are talking about technological advances or performance increases. Surprisingly, despite its collaborations with Patek Philippe, Cartier and many other brands (to which it has sold a great amount of movements and ébauches), it seems like this name isn’t one that comes to the mind of enthusiasts when we talk about collectibles (unless we are talking about a Reverso from the 1930’s, some Grandes Complications or an original Memovox Deepsea). A lot of those watches can be found on Ebay, especially the LeCoultre’s sold to the American market, and with a bit of patience one can get a pretty good deal on them. There are some of those purchases that, even if you had been thinking about them, just seem to come up and surprise you. In all honesty I have to say it’s exactly what happened with this one! I had read about Jaeger-LeCoultre and learned a lot of things that made my watchmaking student self admire the name but didn’t really get into shopping for one. It was quite a good timing that, upon lurking ads on a watch forum, I came across one selling a small model in stainless steel and decided to let curiosity get the better of me. The first thing that I noticed was, obviously, the dial; a champagne-coloured, very simple round one with applied arrow markers and Arabic numerals for the four quarters that match the gold coloured hands. Not only was the contrast with the stainless steel mesmerising but the patina that had developed on it made the whole face of the watch look a tad darker. I found that the watch had aged very beautifully and that the minute ring, along with the brand name (the shortened form of which indicates that this watch had been made and sold for the European market), remained very crisp looking; I had been warned by the seller that it may be an old refurbishing job but under my loupe it didn’t look like it. Alas, it happens that such information gets lost as the watch goes from one owner to another so I cannot confirm that the dial has never been touched or that the case and lugs have not been polished, but as far as I’m concerned if such things were done to the watch they haven’t ruined it like many other poorly done jobs I’ve seen around. The 32mm round and mirror finished case would make a lot of people cringe; nowadays this would be considered a woman’s size but one could be surprised as I know a lot of ladies who would prefer to have a bigger timepiece on their wrists. Some would be able to settle down to such a size should the case be a cushion style as the corners would make it wear bigger but neither its shape nor its very small crown help this timepiece to look bigger. Yet, this is one of the things that made it ever so attractive to me. Its elegant and subtle size makes it a wonderful dress watch as well as a good size for a casual one (in my humble opinion, of course), the wrist surrounds it in a beautiful way and in my mind there’s no doubt that this is a vintage man’s watch. You may also notice the tear drop lugs, a classic among details on Jaeger-LeCoultre’s watches. There’s no doubt that the external look of the watch is a very important thing to look at when shopping, however, in this case the interior of the watch was just as important to me. I have many lower end timepieces that I have bought because I found them beautiful but for this one I knew that I was also getting a well built and beautifully finished movement. The brass bridges make the whole movement pop out when you open the case back and their finishing is outstanding: côtes de Genève stripes, beveled edges and elegant yet sharp forms… everything makes you think that they’ve paid a lot of attention to details whilst producing this calibre. All in all, for a lot of people this watch would look like a mere small accessory made to tell time, this is something that made this watch a great purchase to me. Its simplicity makes it an elegant timepiece, yet, as a vintage watch enthusiast and as a fan of companies with a great historical background, the gears and parts inside this small case make me understand why Jaeger-LeCoultre is such a respected brand in the world of haute horlogerie and make me want to fully agree with that statement. To me it’s more than having a watch with a fancy name, it’s knowing what this name really represents, whether a lot of people know it and agree with it or not. This entry was tagged Guest Posts, Jaeger LeCoultre. Bookmark the permalink. 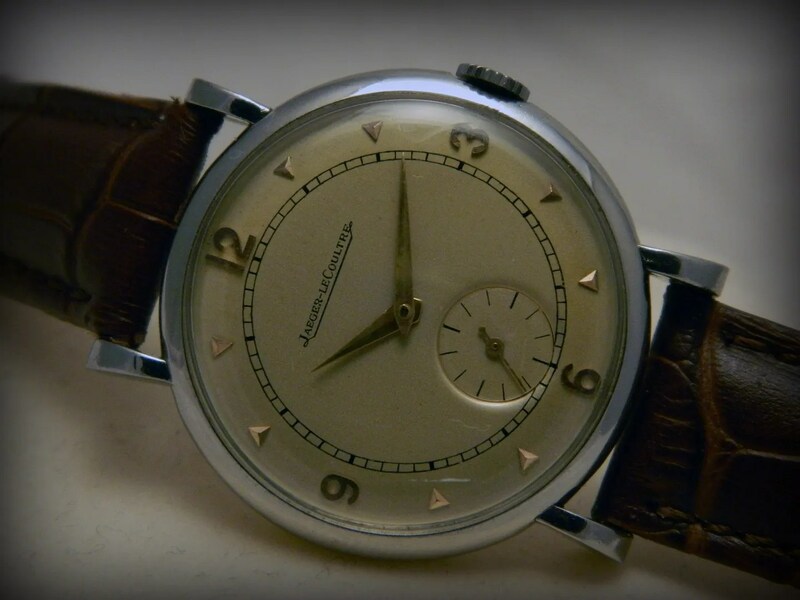 Here’s a entry on Tony’s blog; about my dear friend Carl’s vintage JLC! Hope you are all well. Great entry! Carl’s got such a great collection of vintage timepieces!